Be A Tourist In your Own Town - Explore the Green Route! This is Be A Tourist! Explore Greater Lansing for just $1! Have you ever done Be A Tourist In Your Own Town? These days, its hard to know. Now in its 20th year, the event has become part of the regional lexicon, so thousands upon thousands have taken part in this local family-friendly event. But, then, on the other side, early summer is a busy time for things and new people are moving into Greater Lansing all the time, so many of you may not yet have had the opportunity. Either way, this is your year, so I&apos;ll quickly explain the event before I give you my inside scoop. Be A Tourist In Your Own Town is the best way to get to know your hometown of Greater Lansing, because for just the cost of your $1 passport, on this day only, Saturday May 31st, you get into nearly 70 area attractions and hot spots. How&apos;s that for a day of fiscally-responsible family fun? 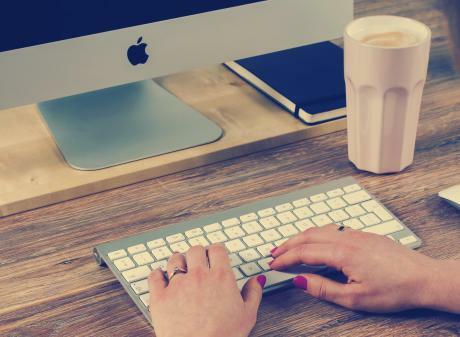 From museums to galleries to the zoo and more you can explore all day long and familiarize yourself with the many assets and fun spots we have right here in our own community. Don&apos;t worry about transportation either, as our partner CATA covers transportation to most of the attractions for just 50 cents. Passports are on sale the day of the event, but also now, and all over the community. For a full list of locations where you can buy a passport, visit the event website. Any other questions you might have can likely be answered there as well. 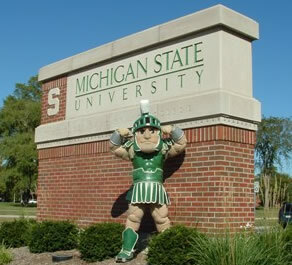 Sparty says, Come explore MSU and the GREEN ROUTE! So now that you know the way the event works, I&apos;m going to give you a tip on a super cool part of the event. This of course is the exploration of MSU Campus, via the CATA Green Route. This Green route takes participants to nearly all the stops in East Lansing and on the campus of our beloved Michigan State University. If you just did the Green route (this is only one of four routes total), I promise you would have an awesome time and pick up at least a few new things to do that are really cool that you&apos;ve never done before. How is it that we never seem to notice the things that are right under our noses? Anyway, while on the Green Route you&apos;ll have the opportunity to check out over a dozen totally unique participating locations! Of those I highly recommend Abrams Planetarium, the Eli & Edythe Broad Art Museum the MSU Bug House, the MSU Community Music School the MSU Museum and the MSU Surplus store. Now like I said, there is a lot more stuff than this, but here are my top suggestions. If you hit these stops you&apos;ll be able to see far off galaxies, inspiring contemporary art, giant insects the size of a matchbox car, make music at an instrument petting zoo, learn about turtles and the earth around us and see cool things the University is done with - everything from computers and furniture to Spartan Football Jerseys. I&apos;m telling you its a blast, and if you&apos;re a Spartan, you&apos;ll have that amazing feeling of being right at home, but discovering something new. Come explore!